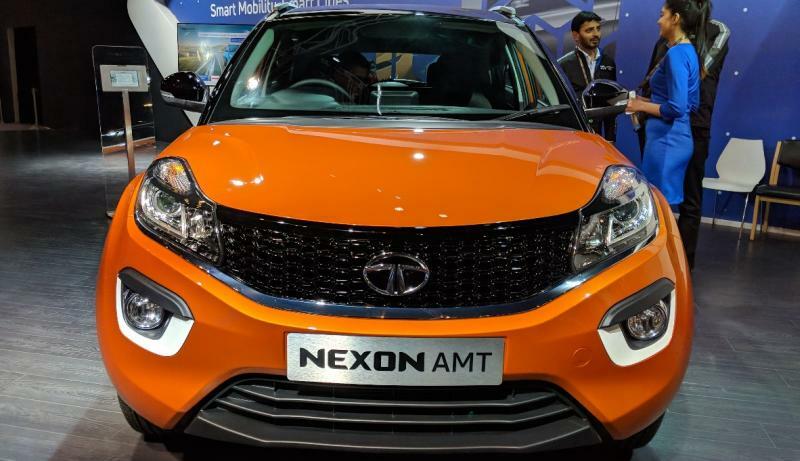 Bookings for the Tata Nexon AMT are now open. The car was shown at the 2018 Auto Expo and the official launch with price announcement is just weeks away. The Nexon AMT will be offered in both petrol and diesel variants, and will be the most advanced AMT car to be sold in India. Prices of the Nexon AMT petrol will start from less than Rs. 8 lakhs and the Diesel AMT variants are expected to start from under Rs. 9 lakhs. 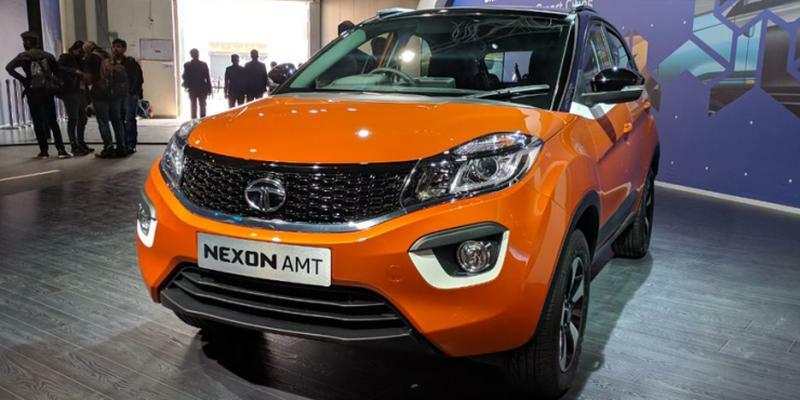 Tata Motors will offer multiple variants of the AMT Nexon to suit various budgets. The Nexon AMTs will undercut the Ford EcoSport Petrol AT and the Mahindra TUV300 Diesel AMT. Here are some reasons why the new compact SUV’s AMT models will be India’s most advanced yet. It’ll get a kickdown mode that allows the Automated Manual Transmission module to rapidly downshift for instant acceleration when the driver stomps the foot on the accelerator pedal. This will be very useful during overtaking, where quick acceleration is essential. It will also have a creep mode, which makes it easy for the vehicle to be driven in stop-and-go traffic without accelerator inputs. The driver just needs to get his foot off the brake pedal for the Nexon to inch forward due to the creep mode. It could also have hill-hold assist, which prevents the vehicle from rolling backwards on a slope when in a stop and go situation. In other AMT cars in India, the handbrake needs to be deployed to prevent the vehicle from rolling backwards while moving forward from stationary position on a slope. Hill hold will be a great feature addition to the Nexon. We really hope Tata adds this to the sub-4 meter compact SUV. The Nexon AMT will also be offered in a new colour: Etna Orange! The engines of the Nexon will be the same ones as the manual variants. The petrol is a 1.2 liter turbocharged unit with 108 Bhp and 170 Nm whereas the diesel is a 1.5 liter unit with 108 Bhp-260 Nm outputs. The AMT module automated 6 speed gearboxes on both the Nexon variants.